Steve Kelleher CT Financial Navigators, LLC and Gradient Securities, LLC are not affiliated with or endorsed by the Social Security Administration or any government agency. This content is for informational purposes only and should not be used to make any financial decisions. Securities offered through Gradient Securities, LLC (Arden Hills, MN 866-991-1539). Member FINRA/SIPC. Gradient Securities, LLC and it's representatives do not render tax, legal, or accounting advice. Insurance products and services are offered through CT Financial Navigators, LLC. 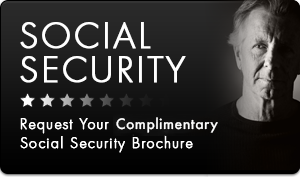 Gradient Securities, LLC, Steve Kelleher and CT Financial Navigators, LLC are not affiliated with or endorsed by the Social Security Administration or any government agency. This content is for informational purposes only and should not be used to make any financial decisions.